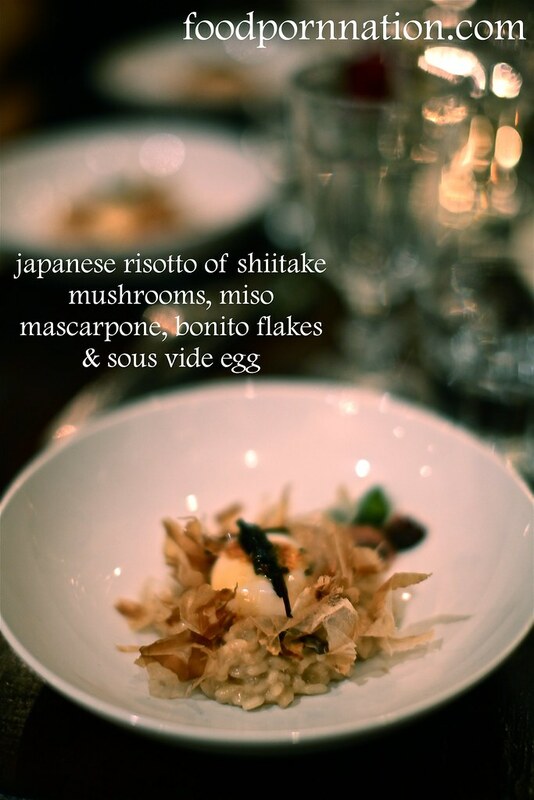 Japanese risotto with shiitake mushrooms arrives with the bonito flakes fluttering delicately along the surface, only to reveal a delicate sous vide egg that is ready to burst. 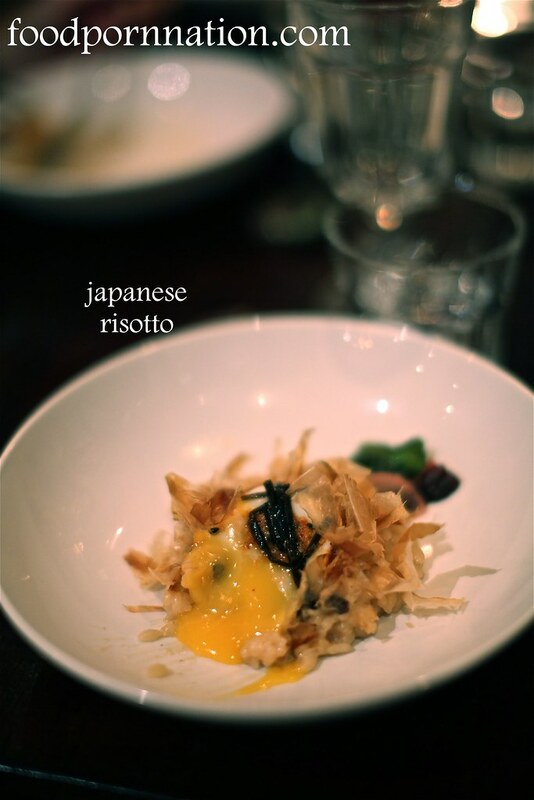 To taste, the risotto is rich of earthy umami tones, its creamy and smooth with the added benefit of being even more luscious with the yolk spilling into each mouthful of risotto. 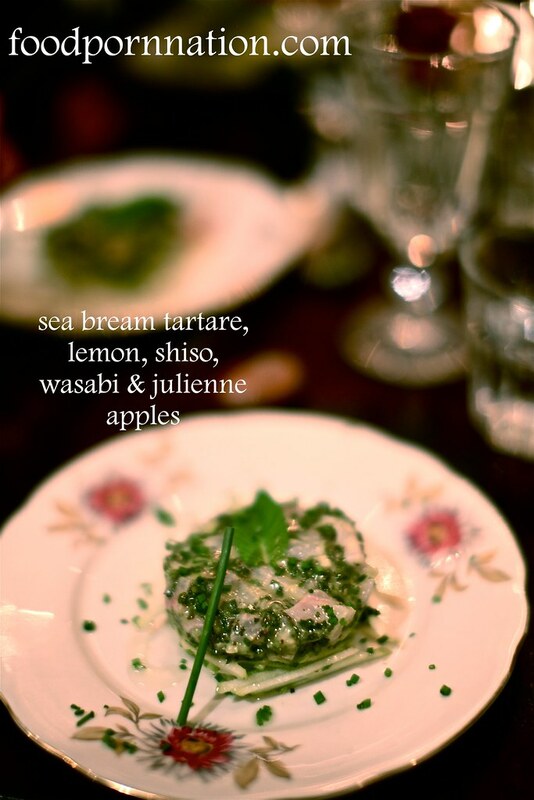 Sea bream tartare is another fine example of the quality of produce on offer. The bream was a superb piece of fish, dressed in a lovely combination of lemon, shiso, wasabi and herbs. The tartare together with the julienne apples made for a beautifully light dish that was savoury, sweet and sour. However, the lemon was slightly sour but this did not diminish from the overall excellence of this dish. 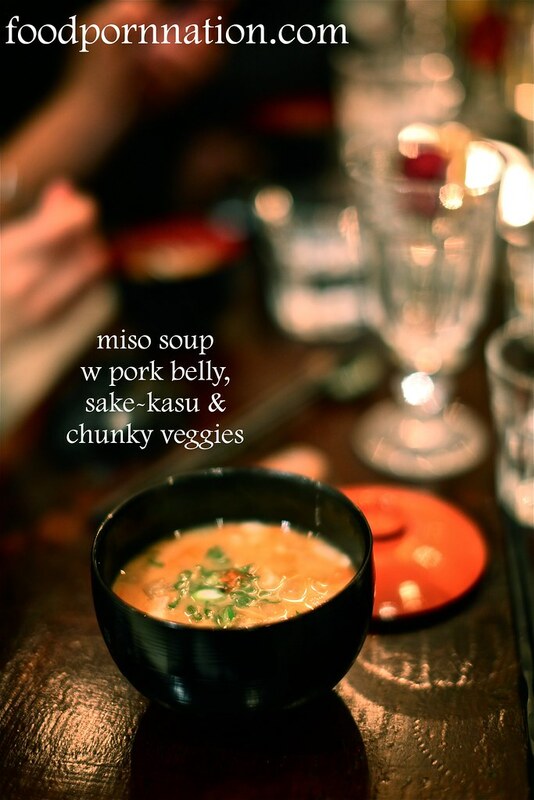 The gorgeous miso soup of pork belly, sake-kasu and chunky veggies takes your humble miso soup to delicious new heights. Each mouthful was filled with chunks of pork belly and vegetables showcasing the depth and boldness in flavour. The inclusion of sake-kasu (lees, a by product from sake production) adds another dimension to its flavour profile. Click here to learn more about sake-kasu. (Not pictured), a simple course of tempura prawns, mushroom and okra was served. I particularly loved the tempura oyster mushrooms. I could not get enough of the squishy mushroom against the lovely crunchy batter! 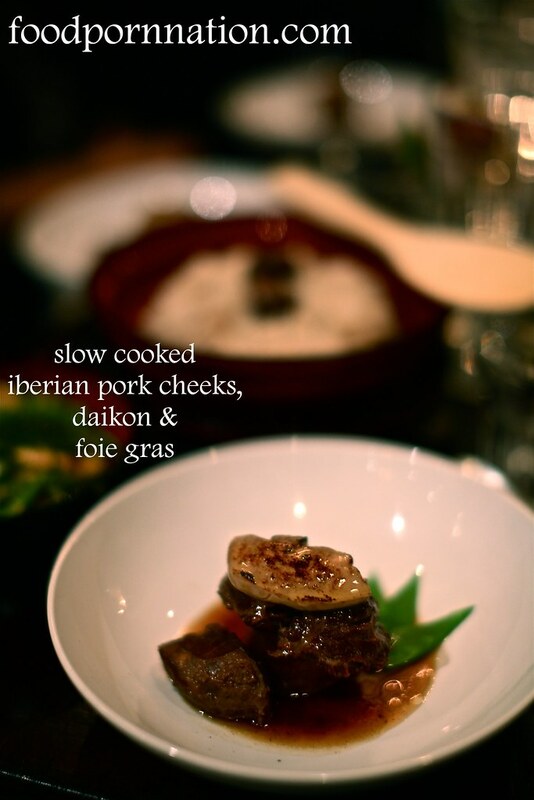 The slow cooked Iberian pork cheeks, daikon and foie gras was simply magnificent . These saucy cheeks were spectacularly tender and positively dripping with the most gorgeous sauce. It is lip smackingly unctuous, glossy, sweet and savoury. The daikon is soaked and enriched with all this saucy-ness then it is all topped off with a succulent piece of seared foie gras. It really could not be more magical. Every spoonful simply melts. 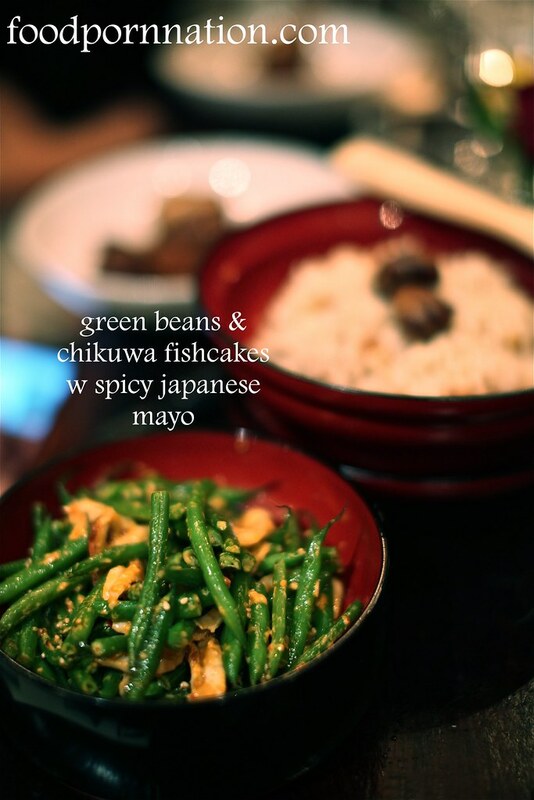 Green beans with chikuwa fishcakes & spicy mayonnaise are quite possibly the best beans I’ve had in my life! A bowl of chestnut rice was also served to accompany the main. 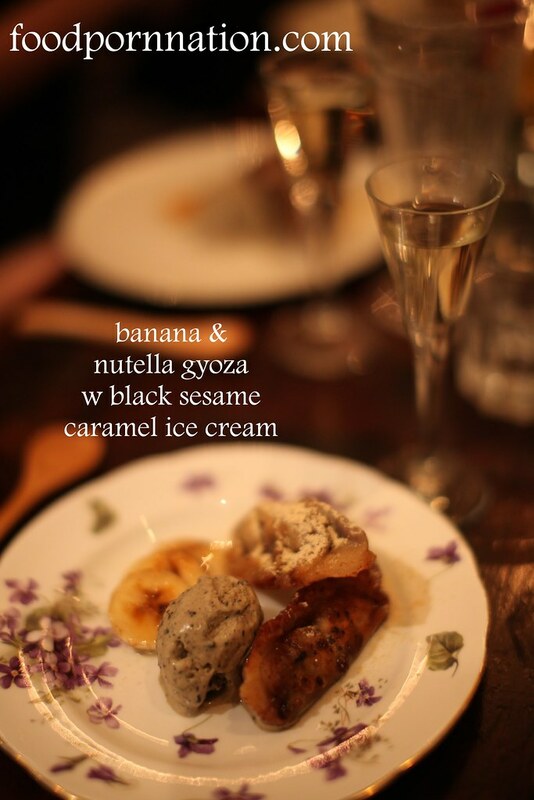 A delicious Asian inspired ensemble of banana and nutella gyoza with caramel black sesame ice cream was well executed. The contrast of temperatures of the piping hot gyoza and coolness of the ice cream provided delicious relief to my over active palette. Luiz was right to suggest I do not eat beforehand! Luiz the ever gracious host, designs a restaurant quality menu that is adventurous, thoughtfully presented and elegantly executed. Consider what’s on offer, and you will be hard pressed to find anything this exceptional for the value, quality, calibre and the experience of this intimate dining setting. The menu is ever changing, so you are urged to come back for more. To recommend that you go would be an understatement. It is absolutely essential! So see you next time? 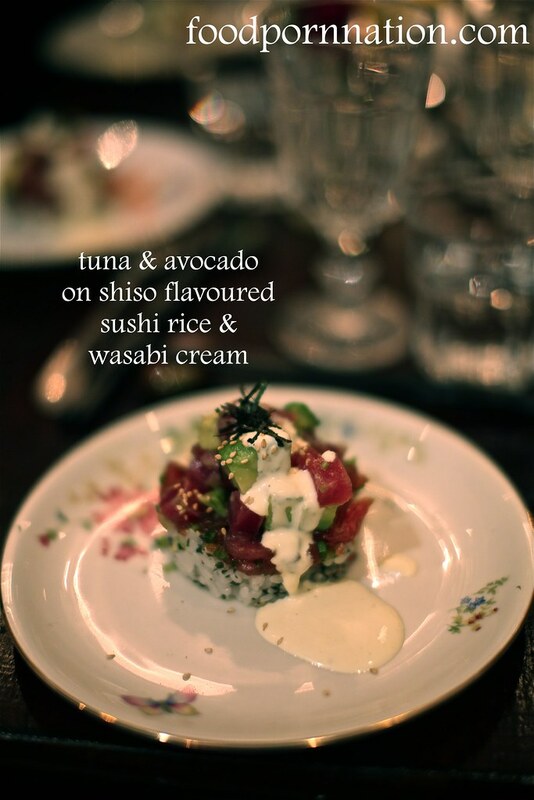 For more details of Luiz’s Japanese Supper Club click here. Prices: £45 includes canapés, a drink on arrival and 7-course menu. Excludes drinks and service. BYO optional or alcohol can be purchased from Luiz’s preferred supplier. No corkage. HAHAHAHA they do catering for events but I wish he offered personalised butler service and fed me! Nutella gyoza!? Sounds too good to be true! Lovely review; too bad it’s all the way in London – they have some really unique stuff here!! Honestly everything that night was too good to be true! I know it’s a shame supper clubs are only really popular everywhere else and not in Sydney.